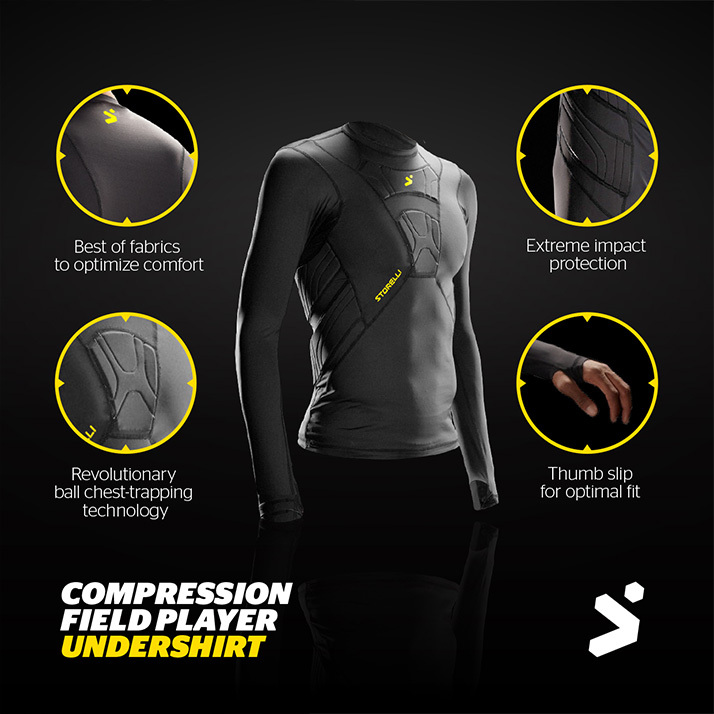 The ultimate compression undershirt for soccer field players, the BodyShield FP Shirt features innovative technology to help control long passes with the chest, along with protection on the ribs to reduce the impact caused by physical clashes with opponents. 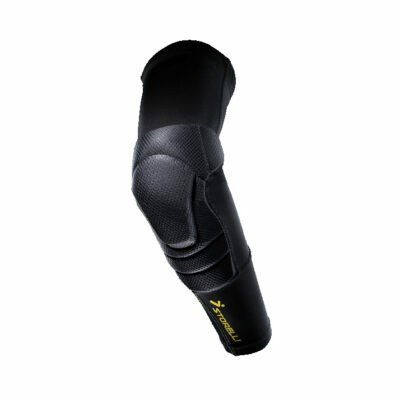 Impact Resistant: High performance polyurethane foam provides extreme abrasion and impact protection. In addition, our groundbreaking chest pad is designed to help you trap hard shots and reduce rebounds. 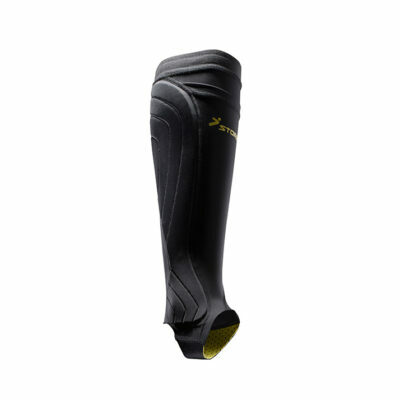 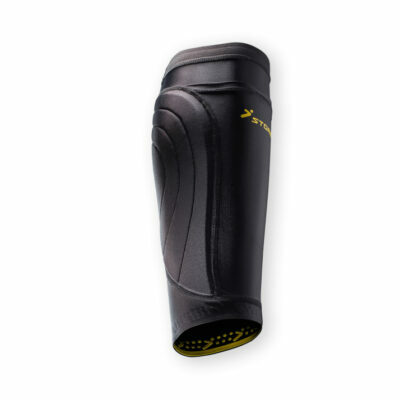 Lightweight: Breathable, moisture wicking compression fabric combined with open cell protective foams help you stay cool. 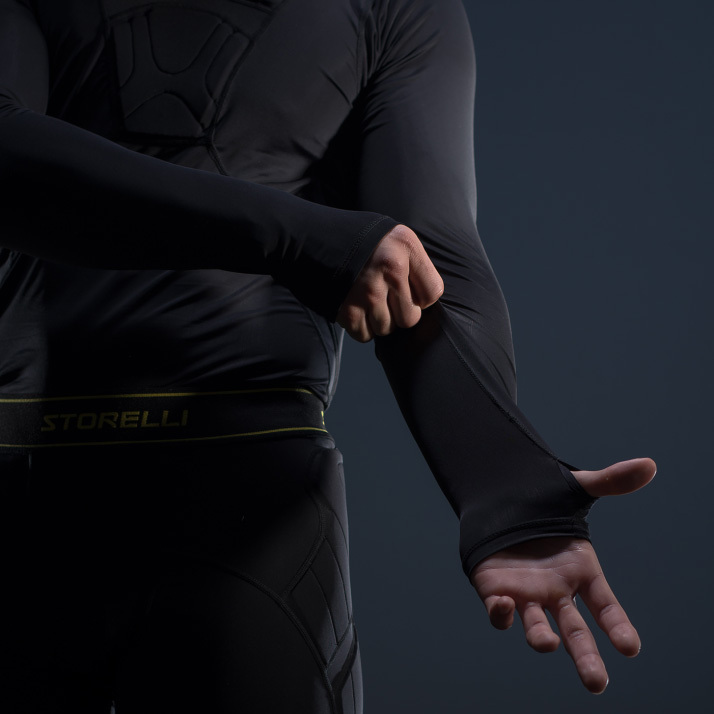 Both in the heat, and under the pressure of the opponents you will be teaching a lesson. 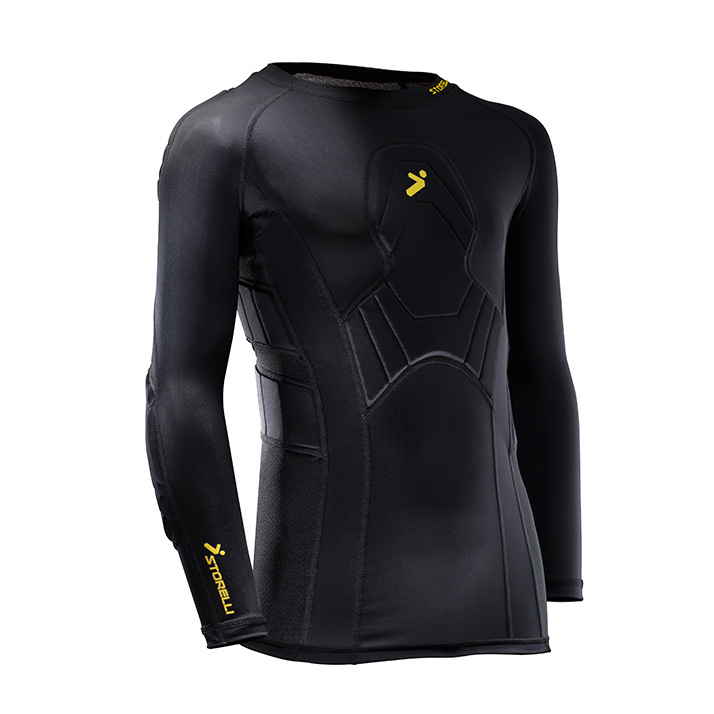 Stealth: Slender, base-layer long sleeves make the BodyShield FieldPlayer Shirt well suited for play in cold weather.